Here’s a chance to read one of our old Local History Room columns, first published in September 2011 before the launch of this blog . . . The Pekin Country Club and its golf course is located between Broadway and Sheridan. But it wasn’t always. 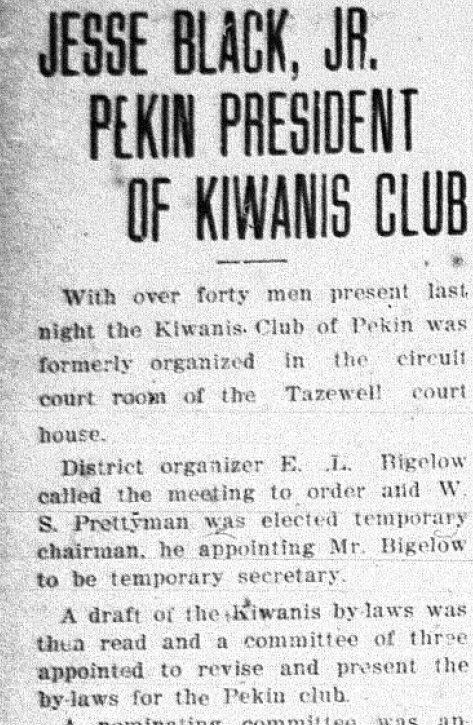 The 1974 Pekin Sesquicentennial has much to say about this original club. 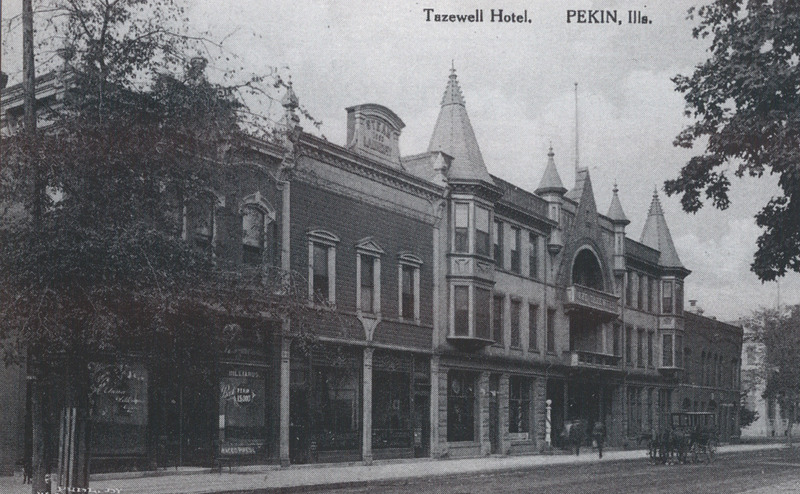 “The first of Pekin’s ‘country clubs’ was incorporated on March 25, 1916, as the Pekin Country Club by H.G. Herget, Ben P. Schenck, and William S. Prettyman, who was the first president. Other directors were John Fitzgerald, H.W. Hippen, D.H. Jansen, Franklin L. Velde, George P. Kroll, C.G. Herget and V.P. Turner. Total membership was 98. “On April 1 of the same year, 60 acres was purchased from the Lemuel Allen estate on the East Bluff (think East Campus) for $15,000. The farm house which occupied the original site at the time of purchase was remodeled into the club house. This was remodeled many times over the years and in 1955, a swimming pool and pro shop were added. Additional land purchases were made in 1928 and 1932, totaling approximately 95 acres by 1960, on which the club maintained a nine-hole golf course for use by its 300 members. “Pekin: A Pictorial History” notes that the old country club’s hill – now East Campus hill – was a favorite spot for sleds and toboggans in the winter. Kind of nice knowing some things never change! 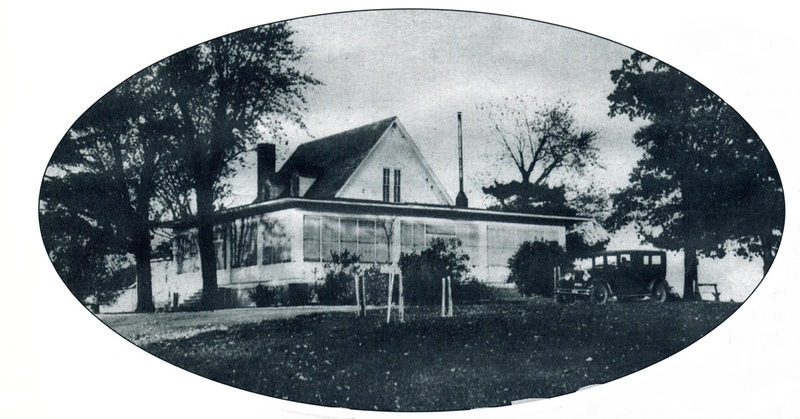 Shown is the old Pekin Country Club, which was on the site of what is now Pekin Community High School.